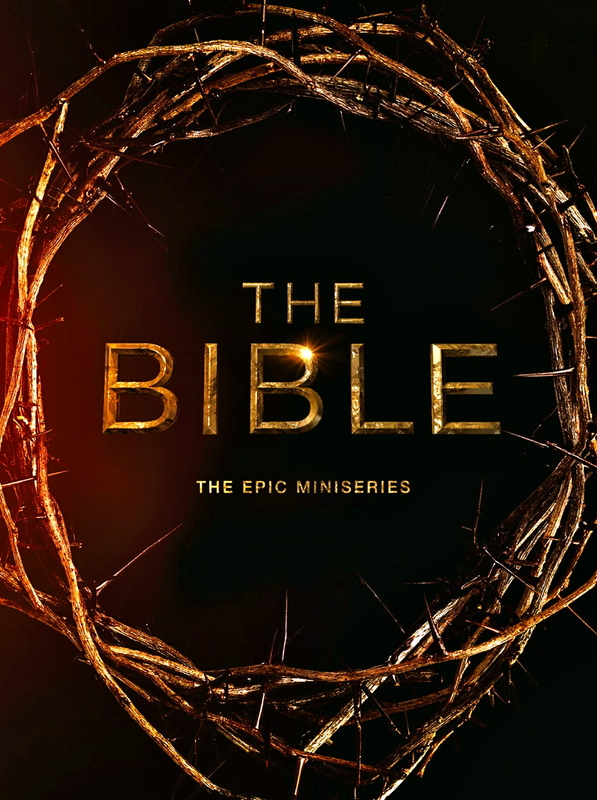 From executive producers Mark Burnett (Survivor) and wife Roma Downey (Touched by an Angel) and Fox Home Entertainment comes the near 7 ½ hour TV miniseries in a 4 disc Blu-ray set, The Bible. The sprawling epic series played earlier this year on the History Channel in 10 1 hour parts and now arrives in a Blu-ray set for the purchase. With further plans now in place for a 3 hour theatrical release about the life and times of Jesus Christ from this same team, the question is do they manage to pull this ambitious project off? Narrated by Emmy winning actor Keith David, The Bible features a stunning international cast including Portuguese actor, Diogo Morgado as Jesus Christ and beloved actress, Roma Downey as Mother Mary. And for the first time since their award winning collaboration on Gladiator, Oscar and Grammy winning composer Hans Zimmer reunites with acclaimed vocalist Lisa Gerrard to create the majestic musical backdrop for this epic production. The Bible plays out as a ‘greatest hits’ of the tome as the episodes jump sections of the Bible at a tie to arrive at what the screenwriters conceive as the best moments to proceed with. The first 5 episodes are unofficially the Old Testament and 6-10 dealing with the life and times of Jesus and the rest of the New Testament through to Revelations. Many of the actors in the series for the first half of the series are only around for one episode as the story shifts drastically from episode to episode, it’s not until the second half of the series that we get any character and story development that carries over a multiple episode arc. 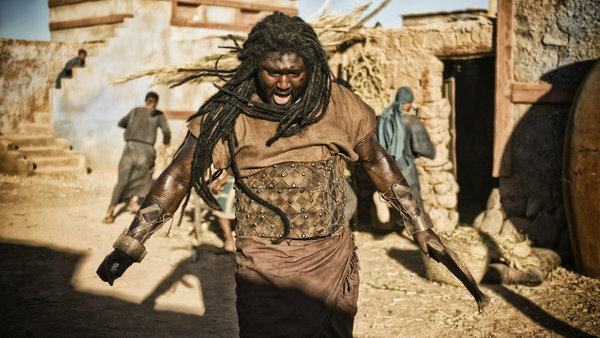 The production also does not fear to use a multicultural cast, Samson is portrayed by ‘African British’ actor Nonso Anozie and Jesus by Porteguese actor Morgado to name a few. The effects work is decent enough for a television production of this magnitude, expecting $100 million dollar film budget level effects here being quite unrealistic, as big set pieces like Noah and the Ark and Moses parting the Red Sea are effective. While others, like Samson’s demise, may be a little underwhelming as the temple stones are not convincing for a second. Shooting mainly in Morocco, and some other Middle East locales, the set design and location shots look excellent and are one for the strengths of the series as they set the audience in the right mindset for the series. The Blu-ray comes packed with special features to enhance the entire series. 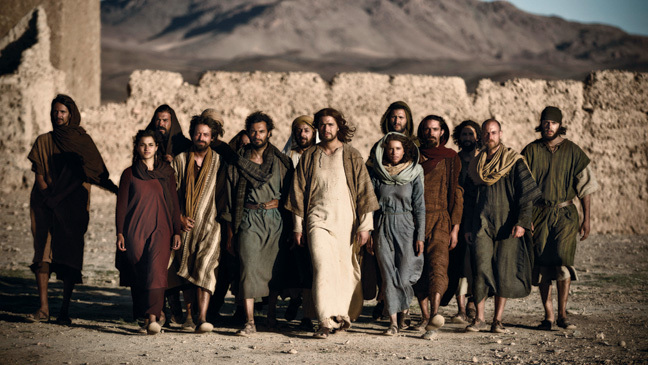 ‘The Bible: Genesis’ is a behind the scenes exploration of the filming and ‘The Cast of The Bible’ highlights the casting decisions that make up the international cast. ‘The Bible: Creation’ is a three-part journey that goes further into the making of The Bible while ‘Scoring The Bible’ examines composer Hans Zimmer’s work with award-winning soloist Lisa Gerrard. Finally ‘Believing in Miracles’ and ‘The Bible: Visual Effects’ finish off the disc. A highly ambitious and epic mini-series, coming in just under a 22 million dollar price tag apparently, The Bible delivers for the masses who believe as well as the audiences who may be curious. The non-linear writing style of the series may throw some off is watch the sprawling epic in one sitting, but when breaking the series down into chunks to watch it may actually be beneficial. There is more than enough strong work here to give the series a recommend.